Payment Books: Improve On-Time Payments | Main Street Inc. Improve your on-time loan payments and reduce hassles over late fees with our payment books. 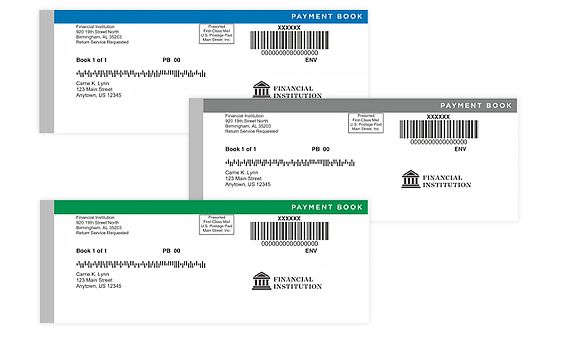 Each professionally bound book of payment coupons includes the account holder’s information, the remittance information, the due date and amount due, plus the amount of any applicable late fees.